Bring a healthy, wholesome crunch to your mornings with Kashi 7 Whole Grain Flakes Cereal. With a satisfying blend of organic hard red wheat, oats, brown rice, triticale, rye, barley, and buckwheat, this crunchy breakfast cereal is as nutritious as it is delicious. A yummy addition to any balanced breakfast, our 7 Whole Grain Flakes Cereal pairs well with dairy or nut milk, yogurt, and fresh fruit. 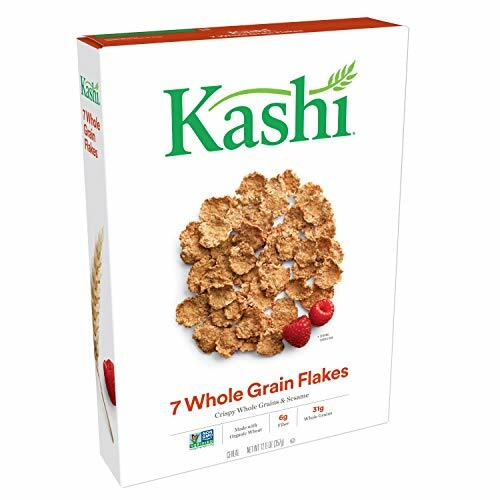 Toasty, healthy, and delicious, Kashi 7 Whole Grain Flakes Cereal provides an excellent source of fiber, is low fat, and is Non-GMO Project Verified. Kosher;GMO Free;Start Your Day off Right! 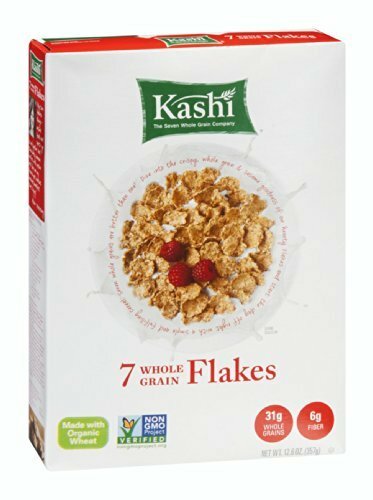 Kashi 7 Whole Grain Cereals Flakes, 12.6 Ounce - 10 per case. 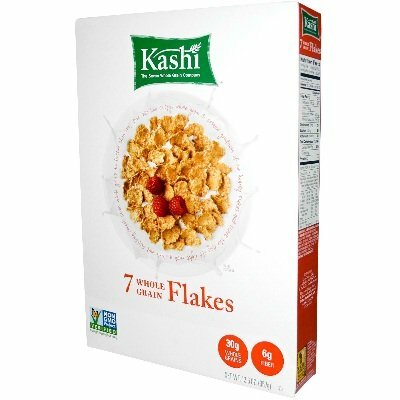 Kashi 7 Whole Grain Cereals Flakes, 12.6 Ounce -- 10 per case. Enjoy the pure simplicity of our tasty 7 Whole Grain and Sesame blend in toasty flakes, hearty puffs, or crunchy nuggets. With only 5g of sugar, you can feel free to enjoy Kashi Flakes in any way you please with berries, a touch of honey, or even straight out of the box for a snack. 30g Whole Grains High Fiber Wake up with Kashi Seven Whole Grains and Sesame baked into a delicious, hearty flake. 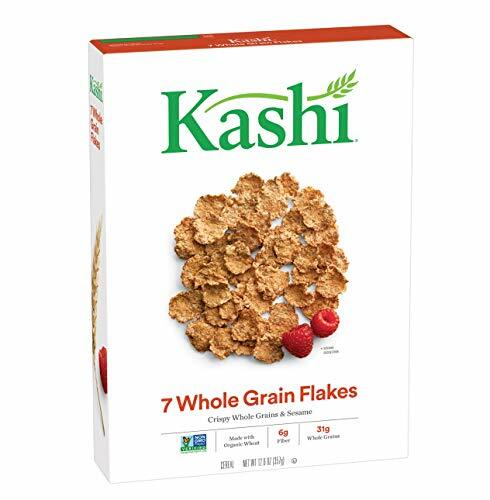 Bring a healthy, wholesome crunch to your mornings with Kashi 7 Whole Grain Puffs Cereal. With a satisfying blend of hard red wheat, brown rice, oats, barley, triticale, rye, buckwheat, and sesame seeds, this light and airy breakfast cereal is as nutritious as it is delicious. A yummy addition to any balanced breakfast, our 7 Whole Grain Puffs Cereal pairs well with dairy or nut milk, yogurt, and fresh fruit. 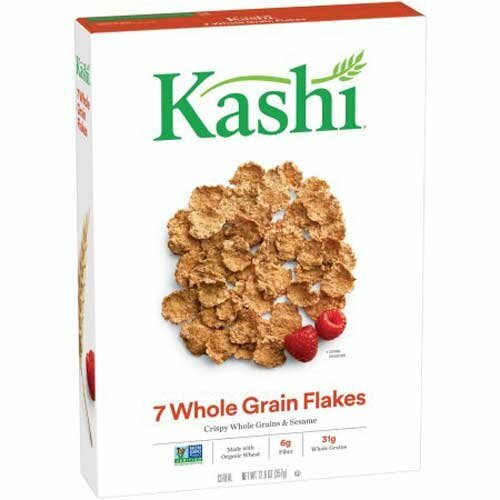 Toasty, healthy, and delicious, Kashi 7 Whole Grain Puffs Cereal provides a good source of fiber, is low sodium and low fat, cholesterol free (0 g monounsaturated and polyunsaturated fat), and is Non-GMO Project Verified. Kashi 7 Whole Grain Cereals Puffs, 6.5 Ounce - 10 per case. 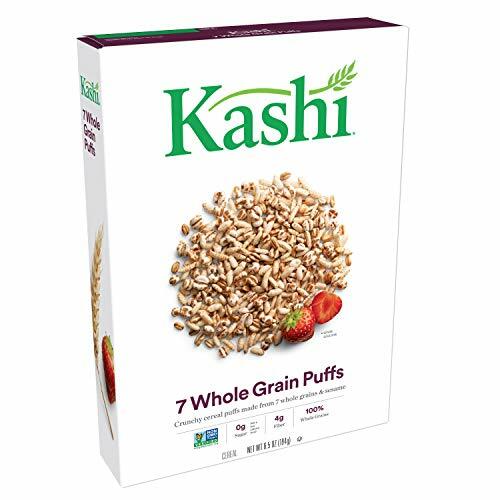 Kashi 7 Whole Grain Cereals Puffs, 6.5 Ounce -- 10 per case. Enjoy the pure simplicity of our tasty 7 Whole Grain and Sesame blend in toasty flakes, hearty puffs, or crunchy nuggets. Treat your taste buds to the purest form of whole grains and sesame seeds. Nothing more added, nothing taken out. Bring a healthy, wholesome crunch to your mornings with Kashi 7 Whole Grain Honey Puffs Cereal. With a satisfying blend of hard red wheat, brown rice, oats, barley, triticale, rye, buckwheat, and sesame seeds, this light and airy breakfast cereal is as nutritious as it is delicious. A yummy addition to any balanced breakfast, our 7 Whole Grain Honey Puffs Cereal pairs well with dairy or nut milk, yogurt, and fresh fruit. 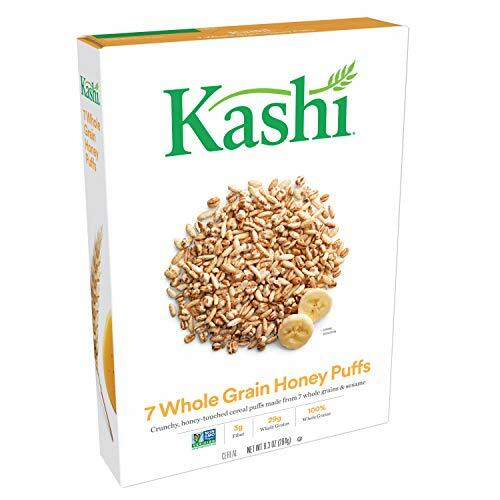 Toasty, healthy, and delicious, Kashi 7 Whole Grain Honey Puffs Cereal provides a good source of fiber, is low sodium and low fat, cholesterol free (0 g monounsaturated and polyunsaturated fat), and is Non-GMO Project Verified. Shopping Results for "Kashi 7 Whole Grain Flakes"